APTIM is proud to present the a safer, more compact flare design: The Low Emission Flare reduces NOx, CO, and NMOC emissions through the use of high efficiency burners. 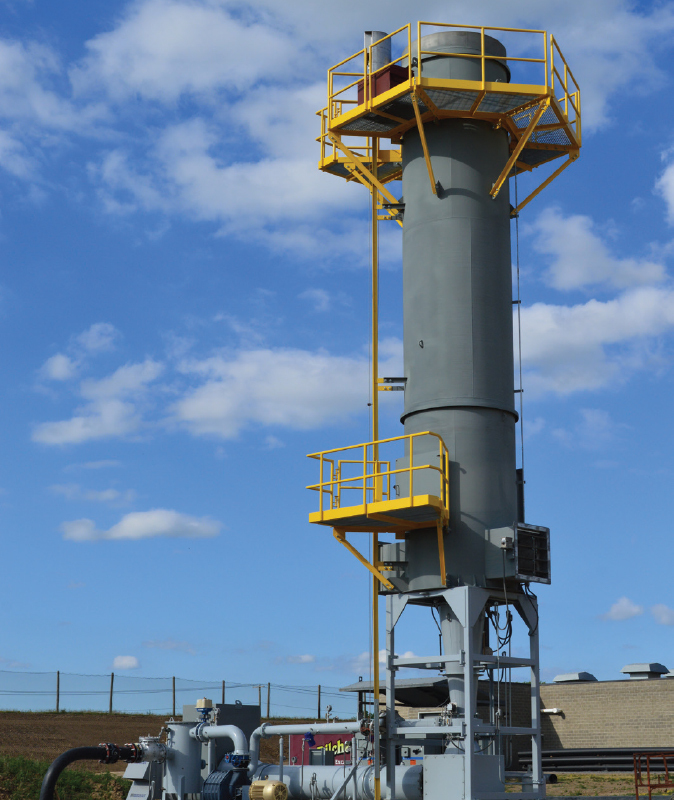 The improved combustion is achieved by pre-mixing landfill gas and combustion air prior to ignition. With the complete premix of gas and air at an efficient control ratio, this flare will significantly reduce emissions. Effective and consistent temperature control with sufficient excess air at the burner reduces the potential formation of nitrogen oxides and carbon monoxide emissions. Pre-mixing of the gas and air is accomplished by using an air blower at each burner to introduce the combustion air prior to the burner. This method is much safer than conventional methods of pre-mixing air and gas in a large pipe manifold/vessel prior to ignition. 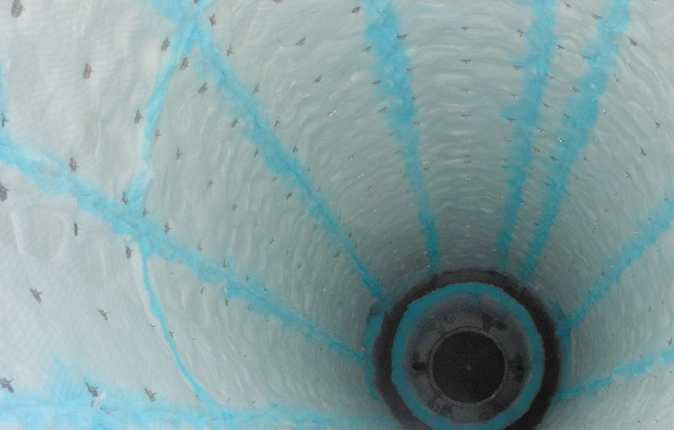 Additionally, the compact design minimizes transportation and installation cost while greatly reducing the footprint of the flare compound saving valuable space. The use of multiple independently controlled burners in the Low Emission Flare allows the system to operate with extremely high flow turndown while maintaining the desired emission control efficiency.